Propose commercial animation of your shop with this module. 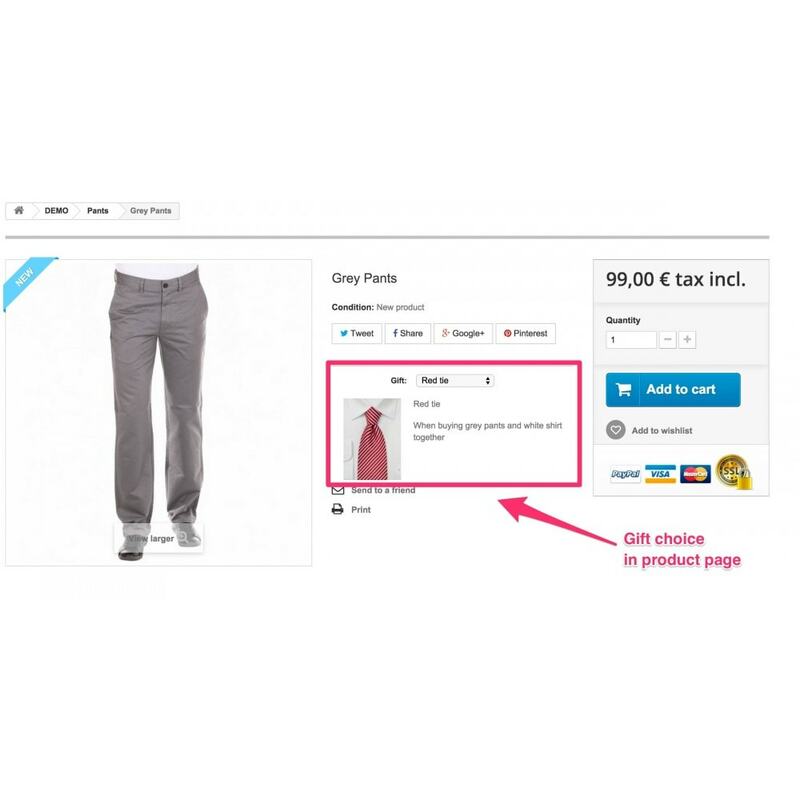 Increase your benefits by increasing your customers average cart amount through incitation by gifts. Reduce some products stocks, either by offering these products as gifts, either by selling them associated to a gift. 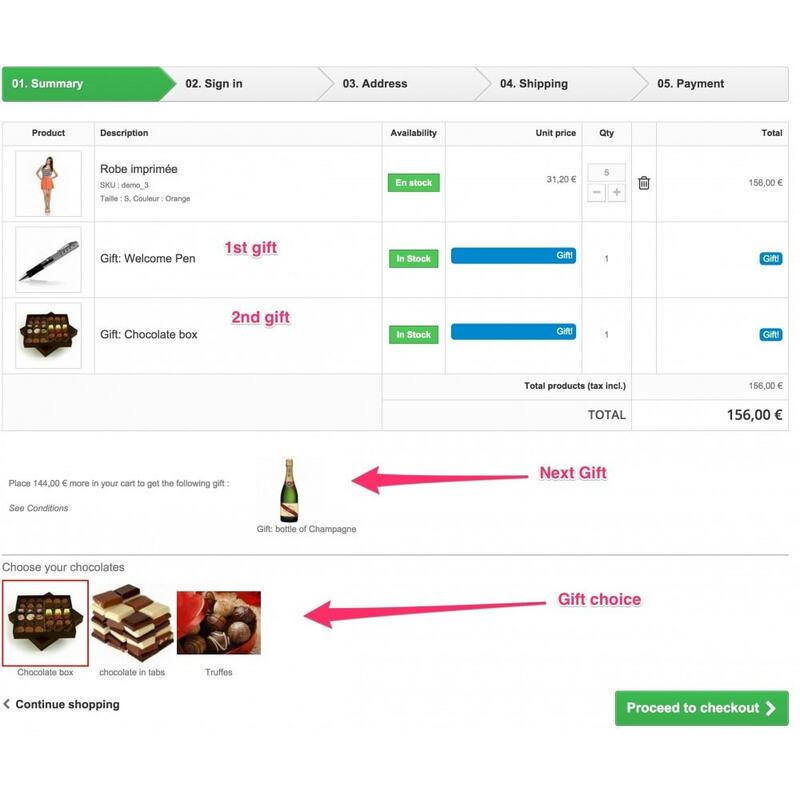 This module adds gifts into the carts of your customers, following rules you define in back-office. 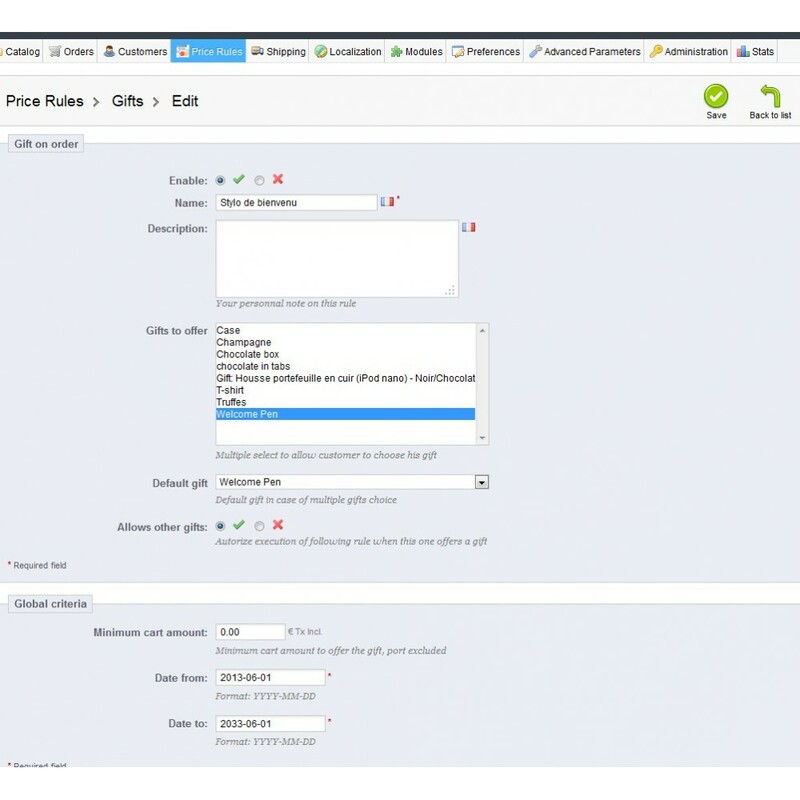 Each rule then offer a gift from a preselected list of gifts. It is possible to propose a git choice to the customer, that is done in the "cart summary" page. 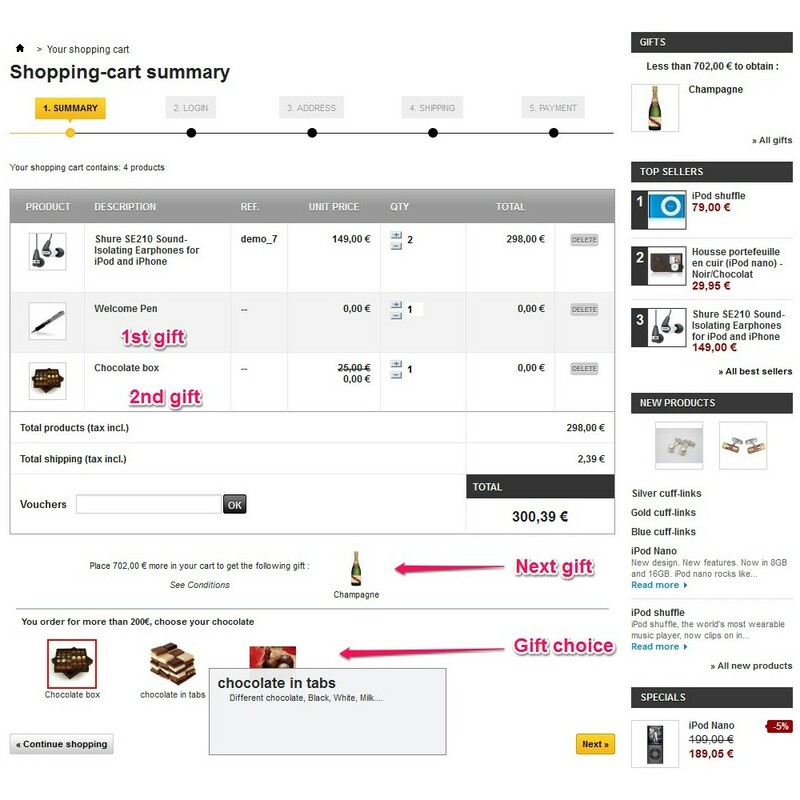 By configuration it is also possible to display this choice in each product page associated to a gift rule. The gifts may be cumulated. 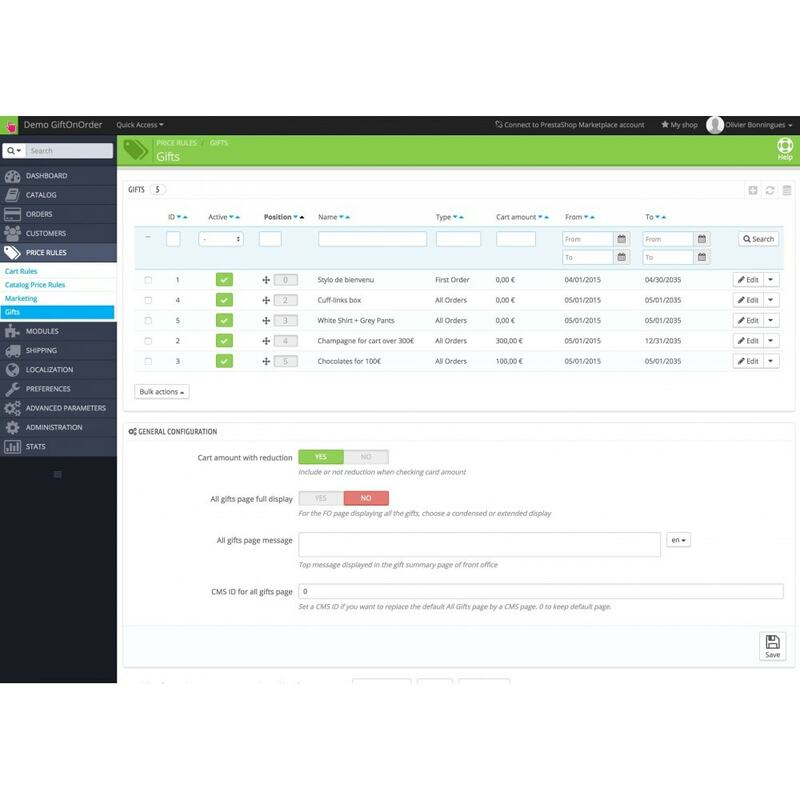 The texts for each mode are configurable in back-office. Products offered as gifts are managed as classical products from you catalog. You may manage their stock. they are added to the carts like all other products. their then appear in the order, invoices... helping in the export to external software. 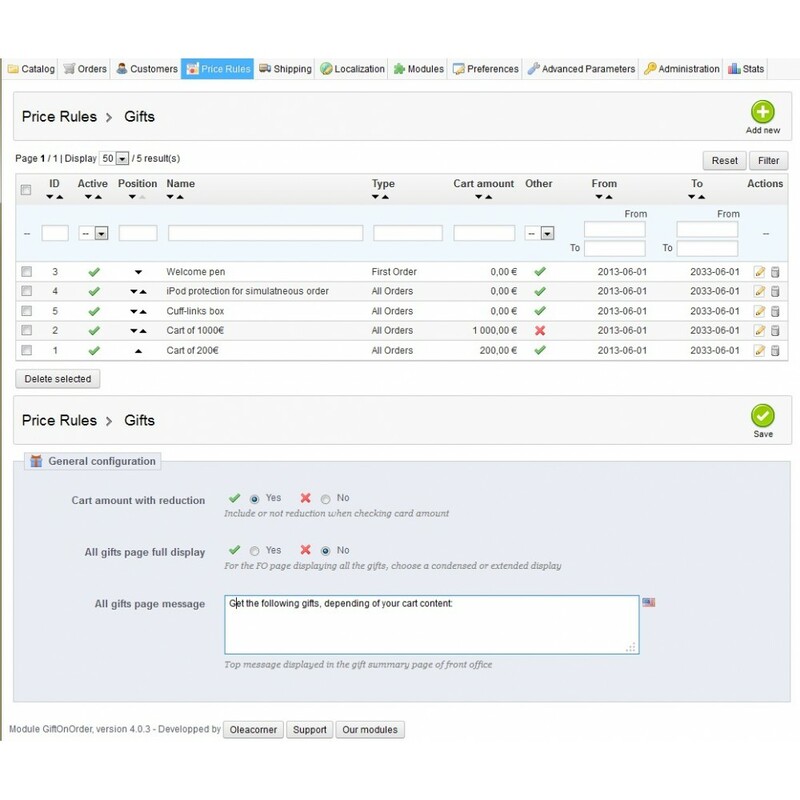 This module is compatible with the multishop feature : each rule can be restricted to some shop only. 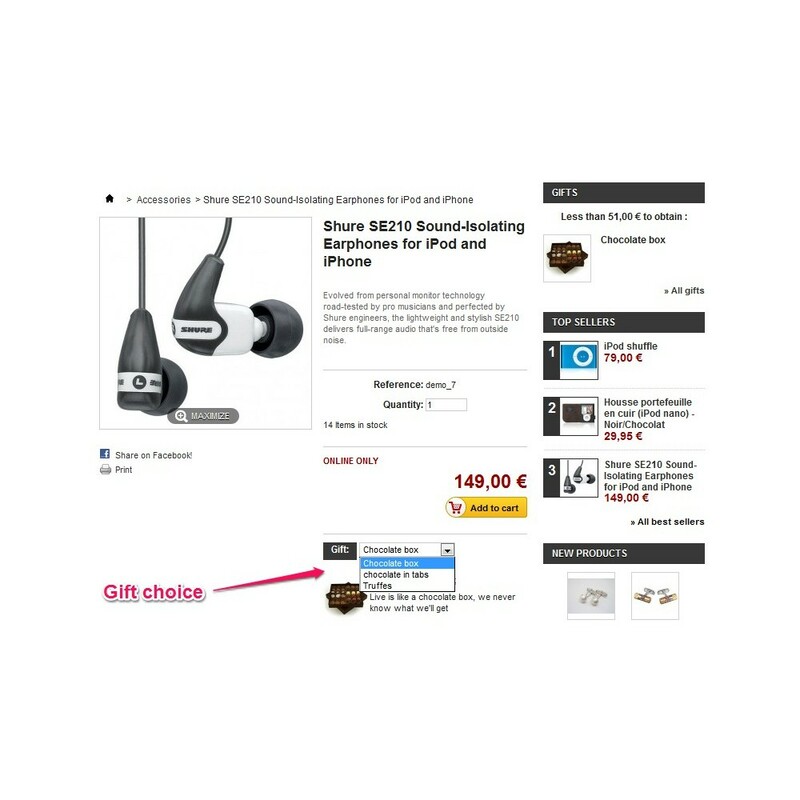 "iPod protection offered when one macBook and one iPod are bought together"
"Gift A for more than 200€, gift B for more than 1000€", A and B may be or not cumulated. 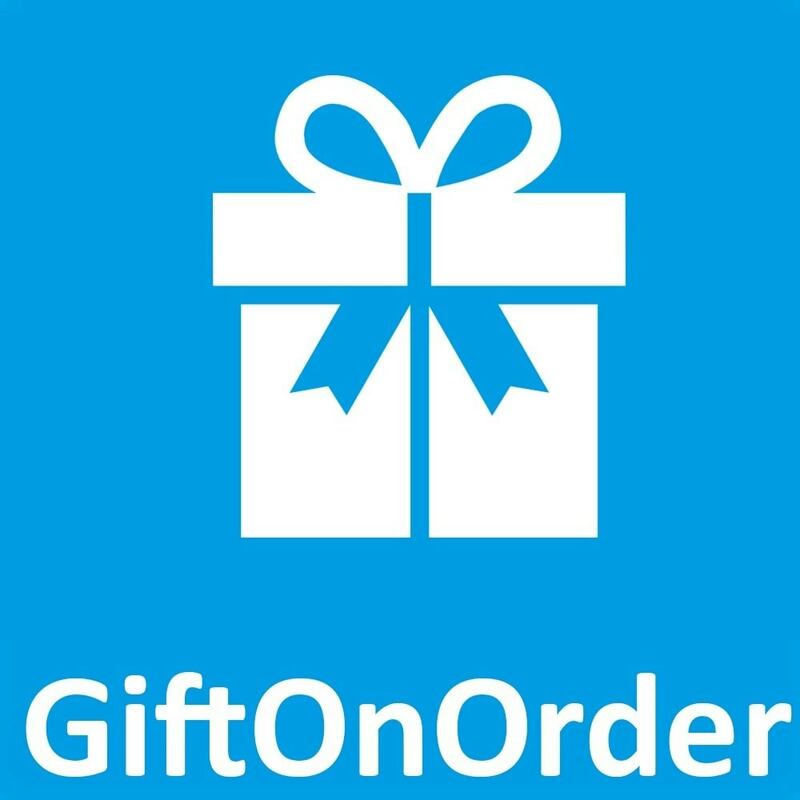 "Welcome gift on your first order"
Enhance your customer satisfaction by offering them gifts. Give your customer the possibilty to test some other products of your catalog by offering them samples. Classical installation with 4 minor override.